This stamp’s beauty captured me from the beginning. The butterflies and overlapping textures… I think they pair perfectly with the fern-like pattern on the background paper.. and the little butterfly in the top right corner is… devine, non? 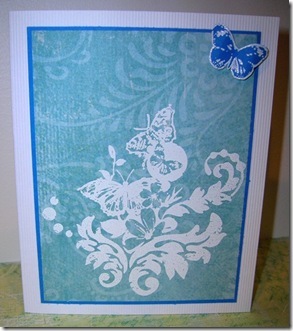 cut out, bend, and attach to card using foam pop dots. 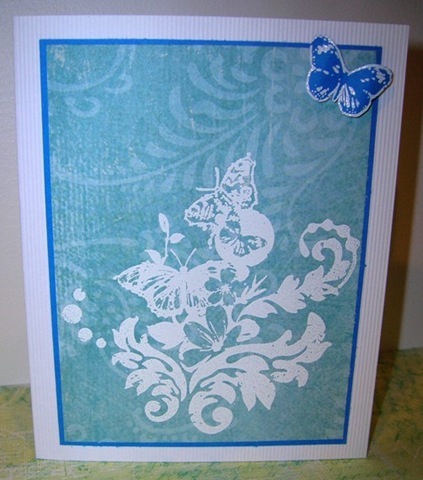 This entry was posted in Any Occasion, birthday, thank you and tagged blue, butterfly, collage. Bookmark the permalink.